estled in the foothills above the village is Saratoga’s oldest institution, Madronia Cemetery. Serving the needs of the community since 1854, Madronia Cemetery is the final resting place of many family members, community leaders, and individuals prominent in local history. The cemetery is also a place for the living, offering a pleasant environment for a quiet walk under the many native and exotic trees. 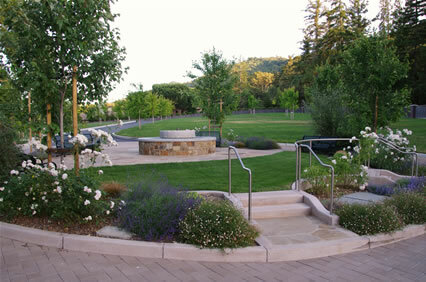 The well-maintained grounds provide a tranquil location for remembrance and contemplation. The cemetery was recently expanded into two previously undeveloped acres. This new area contains a water feature, expansive views of the hills, several attractive seating areas and an extensive selection of new burial sites.